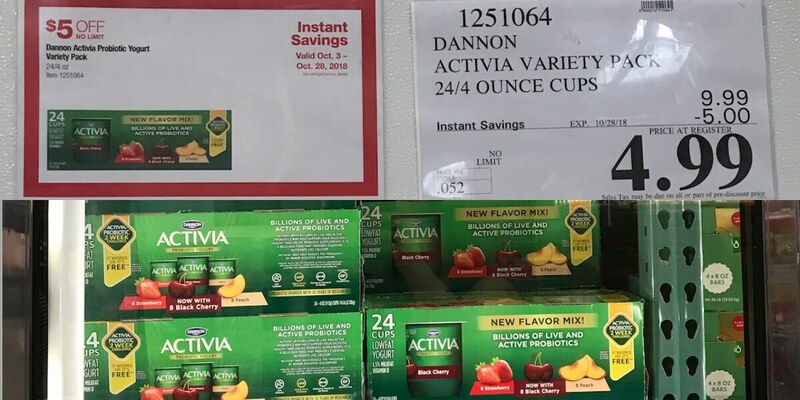 Costco: Dannon Activia Probiotic Yogurt, Variety Pack, 24/4oz. 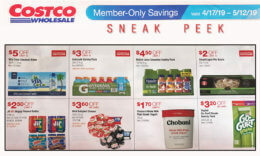 Now until Oct. 28th, Costco has a great deal on Dannon Activia Probiotic Yogurt. 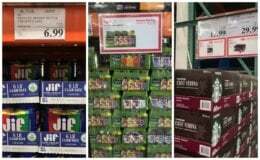 The regular cost for the variety pack is $9.99 but there is an instant savings of $5.00 making the new price $4.99. This is a package of (24) 4 oz yogurt cups, that is $0.21 per cup! There is no limit on the amount you can buy.